eliminate paper napkins and towels - this is so easy! I bought a bunch of decent looking cloth napkins at the thrift store (none were over $0.25 each) to use in lieu of paper napkins, and a bunch of rags have replaced our paper towels (I'm using old cloth diapers - they're super absorbent!). walk instead of drive - this isn't so easy, because there is very little within walking distance to our house. But, Brynne's preschool is, so now we get to enjoy our walk to and fro, get a bit of exercise, and have some time with each other without distraction. recycle, recycle, recycle! We're lucky in that our waste company is able to accept all recyclable plastics in addition to glass, paper, and aluminum. I know that the true "recyclability" and re-use of many of these materials is questionable at best, but we'll just have to keep the pressure on the manufacturers in order to effect change in packaging materials. re-use! This was no challenge for me - I'm addicted to thrifting! 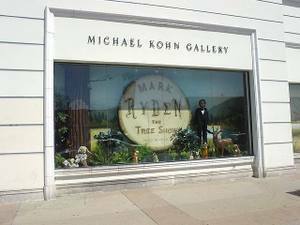 So, it's easy and fun for me to thrift when I can to look for items we need or want. Much of our clothing is thrifted, as is much of the fabric I use to sew, kitchen items, toys, books, and almost anything else we can find! I just bought a fantastic sleeping bag for Brynne at the thrift store to use in our Westy. Cost? $3.99! recommend that everyone watch An Incovenient Truth - This is also super easy. I know that many were reluctant to see the film because they thought it was political and somehow partisan. Others thought that they already knew the environment was in trouble, so why see it? I urge everyone to see it regardless of party affiliation or current perspective on the environment. It's out on dvd, and many libraries have copies to check out for free. think about temperature control - We're lucky here in Ventura as far as energy costs go because it doesn't get very cold or very hot. But, we do have a good thermostat installed that is auto-programmed to come on only when needed. I also have a good incentive to keep making quilts to have around the house for a little extra warmth now and then! use 100% post-consumer recycled paper products (or as close as we can get!) - I've switched for my home office paper, and superbuzzy uses the same. We also switched to Earth First bathroom tissue, which is 80% post-consumer content. buy organic! This is getting easier as even the large grocery chains introduce lines of organic products. I'm learning to think with each item I pick up: "Is this the best choice, or could I make a better choice for this particular item?" This mantra is becoming more and more of a habit, although it took some time to get used to thinking this way on every shopping trip. go native! After completely tearing out our yard last summer, we're now starting to think about how to plant. Thanks to some fantastic tips from Tracy, we're doing lots of research and planning for a native southern California garden. Not only is this "green" because we'll use less water, but it's also great for providing a habitat for local fauna. I just learned that our native bee is endangered, which could pose a big problem for any plants that depend on it for pollination. We're going on a tour of native gardens this weekend through the Theodore Payne Foundation - full report and pictures to come! learn! Although I have very little time to read any more, I'm trying to make every second count. These are my two favorite books to start thinking green: Worldchanging: A User's Guide for the 21st Century and Cradle to Cradle: Remaking the Way we Make Things. I've also become addicted to some online resources, including Treehugger, Stop Global Warming, Ideal Bite, and Sew Green. There are still lots of things I need to work on, like composting (we're exploring vermiculture! ), purchasing more locally grown and produced products, and getting more use out of our clothesline. But, the good thing is that I'm thinking about being green, and that means that Brynne will also be thinking about being green. If she grows up with habits that are gentler on the environment, it will be that much easier for her to keep them up as an adult. I'd love to hear what things are working for you! 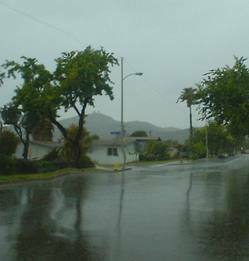 I know that many of you probably think I'm crazy, but I'm really not crazy about the weather in SoCal. Some folks here think it's paradise, but I like a bit more variety and seasonal change. I can say this with some degree of certainty, since I'm not one of the folks who has lived here their entire life - it's not just a fantasy of mine. That's why I was estatic to wake up this morning to the sound of actual rain on our rooftop! I realized that we so seldom get rain that Brynne doesn't really know how to handle it - getting the raincoat and umbrella out is fun, but a drop of water on her shoes might just indicate the end of the world as we know it. Here was the drippy view through the car windshield this morning - pure bliss! Here's hoping that the weather where you are is perfect this weekend, whatever perfect might be to you! 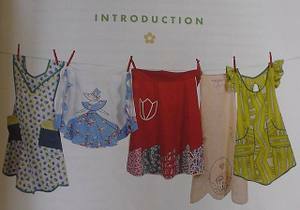 I received The Apron Book ages ago, and I was quite thrilled. I've been a collector of vintage aprons and apron patterns for some time (see some of them here), and I've stitched up a few. So, I was interested to see how this book would relate to a simple piece of long-lived domestic culture. 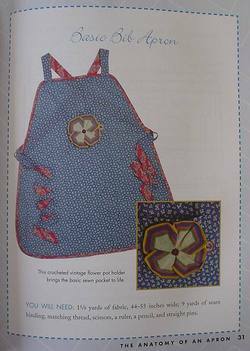 The book is cute - it includes lots of full-color photos of vintage aprons, patterns, and related ephemera. 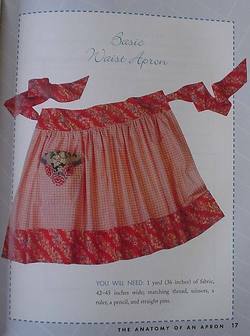 Chapters are sprinkled liberally with the "Every Apron Tells a Story" feature, where folks share their memories of aprons and the people who wore them. 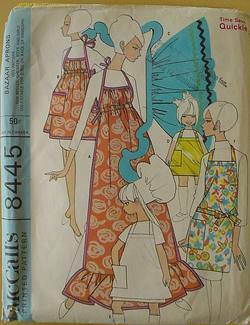 There is even a chapter on special occasion aprons - you know: poinsettias, hearts, and martinis! 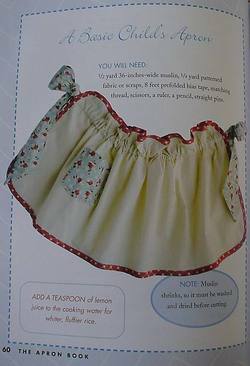 The book includes instructions for making 3 styles of aprons, plus instructions and a full-size pattern for one more (the "Basic Bib Apron"). 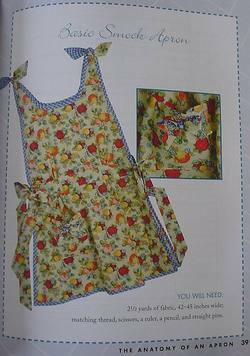 Tips for embellishing, customizing, and modernizing apron patterns are numerous. Some fun and retro recipes (Coke and Cherry Jello salad anyone?) add to the fun. My criticisms are few: 1) although much of the photography is lovely, some of the shots leave something to be desired; and 2) the publicity insert begins: "Tie one on and join in the celebration of an American Icon". Although Amy probably doesn't own the phrase, this seems to borrow heavily from the fantastic Tie One On site without directly crediting or listing it as a resource. Just seems like a glaring omission to me - why no mention of the blog in a resources index? And, as if this weren't enough apron love, we just added a bunch of new books at superbuzzy, including two apron books here and here! ... and tuning out. That's what I've been up to lately. Seems as if I'm not the only one feeling a bit overwhelmed these days, and sometimes knowing I have virtual company helps a whole lot! Thanks to everyone for sharing tales of past, present, and imminent transition... it's a crazy time here, but I think things are moving in the right direction. I'm still up to my ears in regular work, but I know that each hour I spend is one less in front of me - there is a light appearing at the end of this tunnel. 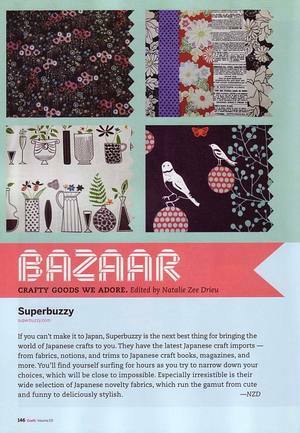 And, superbuzzy is crazy, but crazy fun! Who knew that something so small would quickly become so important to Mariko and me - it's a daily process to figure out what we're doing, but things are getting better and better. We owe so much to our blog readers who helped get us going, and who continue to give so much support. Thanks to all! Reading about spring and growth is really getting me motivated. I'm behind the curve, as always, but I'm finding inspiration everywhere, and that is a great thing. Can you sense the optimism? I think that's why I'm walking taller lately. Not much to say today, but I did want to check in. 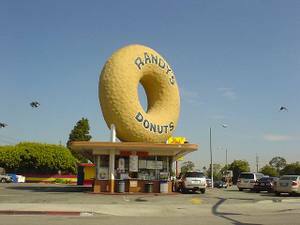 I am a fanatic when it comes to vernacular architecture. 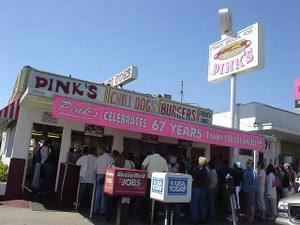 I can't claim to have the photography skills seen elsewhere in blogland, but here are some fun places I've been lately.